This section is from the book "Foreign Magic: Tales of Every-Day China", by Jean Carter Cochran. Also available from Amazon: Foreign Magic: Tales of Every-Day China. Liberal and wise his gifts; he goes to school To justice; and he turns the other cheek. The face shows lines, cut there by others' griefs, And in his eyes is love of brother man. Is strangely like the Christ's in olden time. A modern saint! A man who treads earth's ground, And ministers to man with all his might. IN writing the following sketches the author has received help from many sources, for which she is very grateful. She wishes to thank the editors of the Outlook, the Missionary Review of the World, Woman's Work, and the Woman's Publication Committee of the Presbyterian Board of Foreign Missions for permission to reproduce stories that have already appeared in their magazines. She also desires to express particular gratitude to Mr. Lawrence Abbott, without whose encouragement and inspiration she would never have dared to attempt this little volume. 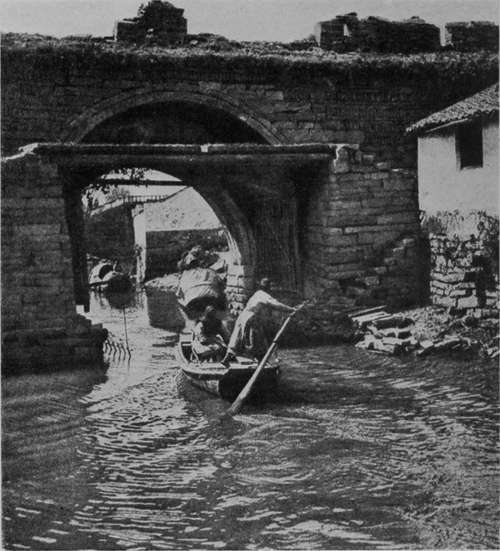 The Old Water-Ways Of China Have An Interest And Charm That Bring New Pleasures To The Traveller At Every Turn.